Repeal The Prison Sentence of Mansoureh Behkish-Her Family Has Suffered Enough At The Hands Of Khomeinists! Reporters Without Borders is deeply concerned to learn that Mansoureh Behkish, a netizen and founder of the Mourning Mothers movement, has been told to report to the sentence application court at Tehran’s Evin prison on 29 January to begin serving a six-month jail sentence. “We urge the authorities not to jail Behkish,” Reporters Without Borders said. “The way she has been hounded for years is typical of the constant harassment received by the relatives of executed prisoners when they refuse to comply with the regime’s desire to maintain a veil of silence over these cases. The mouthpiece of Mourning Mothers, an alliance of mothers and other relatives of prisoners who have been executed from the 1980s onwards, Behkish has repeatedly been harassed and detained. She and 33 other members of Mourning Mothers were arrested while demonstrating in Tehran’s Laleh Park on 9 January 2010. Banned from leaving the country when freed on 17 March 2011, she was arrested again in Tehran on 12 June 2011 and spent a month in Section 209 of Evin prison. Bekhish also belongs to “Mothers of Khavaran,” a movement named after the south Tehran cemetery used as common grave for political prisoners who were executed en masse in 1988. Bekhish posts articles on various websites about these groups, their ceremonies and the harassment to which they are subjected. Six of her close relatives (four brothers, a sister and a brother-in-law) were executed during the 1980s. She has a gravely ill mother who she has to look after on her own. With 28 journalists and 20 netizens currently detained, Iran is one of the world’s five biggest prisons for media personnel. Ms. Mansoureh Behkish is a member of Behkish family who lost six family members --her sister, Zahra; Siamak Asadian, Zahra’s husband; and her four brothers, Mahmoud, Mohammad Reza, Mohsen and Mohammad Ali--during the mass execution of political prisoners in Iran in the summer (September) of 1988. Based on an order by Khomeini and for cleansing the prisons in the Islamic Republic regime from political prisoners, kangaroo courts were set up in all over Iran by politically motivated judges and as a result so many innocent political prisoners were hanged or shot to death by firing squad just because of their beliefs.The regime's henchmen then buried them in mass graves. One of the known locations where these political prisoners are buried is Khavaran in the suburb of Tehran. Mourning mothers and family members together with friends and people from all walk of life come together in Khavaran every year to commemorate the memories of their loved ones. Those who have a hand on Iranian politics know Behkish family by “A Frame picture of 6 family members ” displayed every year during the commemoration in Khavaran. Of the siblings, only Mansoureh and her brother are left . Her brother Jafar Behkish is living in Canada and Mansoureh who is living in Iran with her mother taking care of her. On June 12, 2011 Ms. Mansoureh Behkish was walking on the streets between Yousefabad and Fatemi street when a woman from the ministery of information reckognized and then approached her and arrested her and together with security police transfered her to Evin prison as special case. She was there for nearly a month during her detention in solitary confinement in Section 209 of the prison, and was under interrogation and psychological torture. On July 9, 2011 Ms. Behkish was released on bail. At that time, the charges against her remained unclear. In October 2011 the trial was delayed due to the absence of a prosecutor. On April 3, 2012 it was announced that Ms. Behkish had been sentenced to 4.5 years in prison. This sentence was handed down by the infamous Judge Salavati, the chief of Tehran’s 15th of the Islamic Revolution's Court. The charges were based on articles 610 and 500 of the Islamic Penal Code and charges of "assembly and conspiracy against national security through “The Mourning Mothers”, and propaganda against the government. She currently remains out of prison on bail, but will never be truly free until this outrage is reversed and the prison sentence hanging over her head is completely lifted. We, the undersigned, demand that representatives of the international community on all levels stand up forcefully to bring all pressure to bear upon the Islamic Republic of Iran to unconditionally vacate the 4.5-year prison sentence of Ms. Mansoureh Behkish, and to drop any and all charges brought against her in what is obviously a politically-inspired--and unconscionable petty-- vendetta. Her family has suffered enough at the hands of the repressive organs of the Islamic Republic regime. The international community cannot idly stand by while this regime insists upon adding petty outrage upon blood-soaked outrage. The Repeal The Prison Sentence of Mansoureh Behkish-Her Family Has Suffered Enough At The Hands Of Khomeinists! 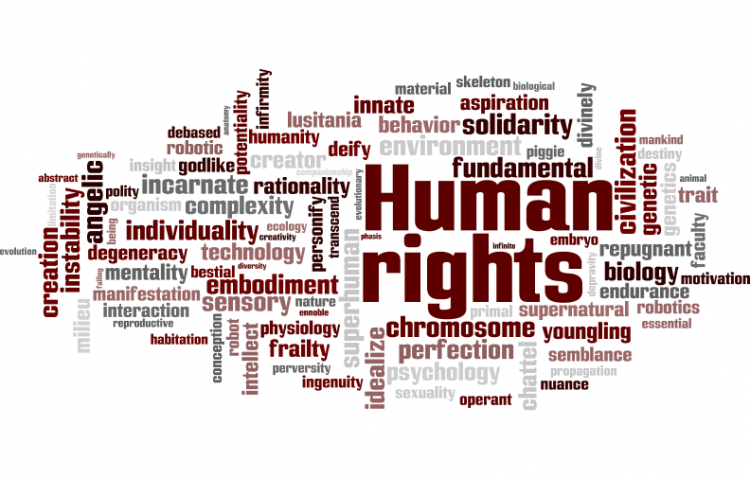 petition to Ahmed Shaheed, UN, UNHCHR, State Department, EU, Navi Pillay, Ban Ki-Moon, European Parliament was written by John S. Burke and is in the category Human Rights at GoPetition.